Scandinavia and the World Comic: This is the best comic to read if you are looking for something to both entertain and educate. Each country (mostly Scandinavian but many countries are featured throughout the comic series) has a persona according to how that country acts, is perceived, the history of that country, how countries actually interact with one another. Under every comic is an explanation, from which I actually learned a lot about Sweden. 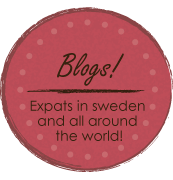 Sweden.se: “The official gateway to Sweden” I love the Lifestyle articles. The Local: Swedish news in English. Also has blogs, discussion boards, job listings, and weather. Universal Currency Converter : A great tool for currency conversions. The exchange rate is updated and calculated for you. Its easy to use and very helpful! Length, Temperature, Weight Convertor : Having a hard time switching from Fahrenheit to Celsius? Pounds to Grams? Inches to meters? Use this fun interface with a 3-in-one functionality! Migrationsverket : A first step resource if you plan on moving to Sweden. What to do after you arrive with your residence permit. Tradera: Swedish Ebay, Swedish required! World Travel Guide: An in depth site that can help any tourist learn about Sweden! Even includes the exchange rate, current local time, history, travel advise, weather, culture, and airport information. The People’s Dictionary Translation with multiple word choices and definitions. 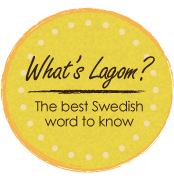 ielanguages: An easy to use Swedish tutorial, covering three levels of useful/common phrases, vocabulary, and grammar using flash cards and MP3’s. Swedish with Steve: A very effective YouTube video series consisting of 20 videos. Surprisingly in depth and easy to follow and learn! Wow what a great blog! You see, I have a boyfriend living in Scotland and so far I have made all the research for him about my country and our life-style and translated plenty of things and sent over to him in bits and pieces, but today I all of a sudden came across this wonderful blog where everything he needs to know to start with is all assembled in one single place. That’s absolutely wonderful. When I have gone through and read all your links and pages here on your blog, I will gladly give you some more feedback if I should miss something worth knowing for English-speaking people. For your information I´m a retired journalist for a Swedish morning paper.